Merlin Crossley is a Friend of The Conversation. Every now and again you might read about gene therapy and efforts to correct serious genetic diseases. But I’m betting that very few readers have had gene therapy, nor have they ever met anyone who has, nor will they ever meet that many. The reasons are simple – while these procedures are possible in theory, in practice, it has proved remarkably difficult to insert new genetic materials into human patients and ensure that the new genes are sustainably expressed. The difficulties encountered highlight the fact that we do not yet have enough fundamental knowledge about gene transfer and control. And what’s more, gene therapy is hugely expensive. Why is gene therapy so hard? Some things are easy to fix and others are not – it really depends on how things are constructed. Machines, such as cars, are made from individual components – defective parts can be replaced by new parts. Similarly, if your house has a hole in the roof or a crack in the wall, it can be fixed by carving out the bad section and replacing it. This may be expensive, but it is possible. On the other hand, if you bake a cake and use plain flour rather than self-raising flour, it is very hard to fix the problem later on. 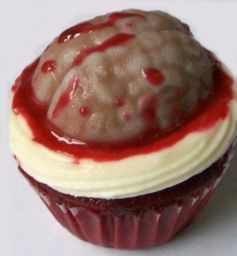 Living organisms are complicated – some parts, such as the brain, are a bit like cakes, but other components, such as blood cells, can be transplanted. Several early efforts at gene therapy have focused on diseases of the blood, inherited anaemia, immune deficiencies, and blood clotting disorders. In these cases, the theory is relatively simple. But, in practice, gene therapy has proved much harder than we might have expected. The first inherited diseases were described about a hundred years ago. At that time we barely understood what a gene was. About 70 years ago, DNA was identified as the genetic material. In 1953, the structure of DNA was described by molecular biologists James Watson and Francis Crick and, shortly after that, we understood how genes encoded functional proteins. For instance, the globin gene region encodes the oxygen-carrying protein haemoglobin. 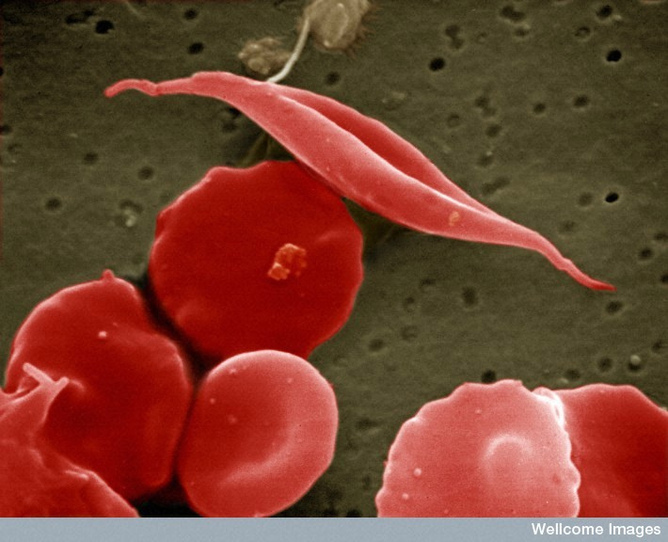 Patients with blood disorders, such as sickle cell anaemia, have a mutation in the gene encoding haemoglobin. The red blood cells in these patients become sticky and misshapen under certain conditions. 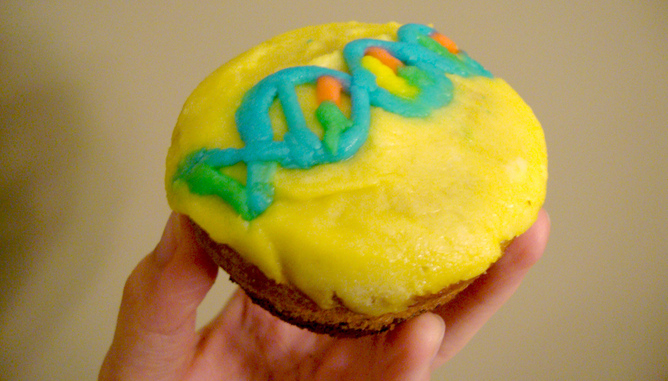 So the idea of gene therapy was born. Now that we understood the problem, could we provide the patient with a new, intact copy of a normal globin gene? Could they use the new gene to produce a normal haemoglobin protein? To achieve this we had to get the gene into the patient’s body. So how do you get genes in? 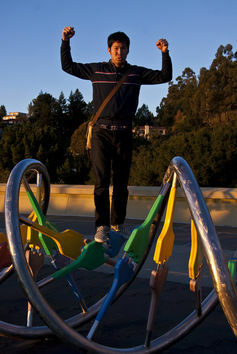 One can’t just bathe someone in a solution of DNA and expect the gene to get in, any more than one can submerge a computer in a tub of ticker tape computer code and expect it to take up the programs. Computers are made so that there are portals available through which information can be inserted. Living organisms, on the other hand, tend to guard themselves against foreign matter, and particularly against foreign DNA. This is because foreign DNA, in the form of viruses, is very dangerous indeed. Viruses are basically nothing but tiny packages of selfish DNA. What’s more, we don’t just want to get the DNA in – we want it to get into the right cells. Our red blood cells do not last long since they are quickly worn out by being buffeted around our blood vessels – and they do not carry DNA anyway. If one wants to correct a defect in red blood cells, one strategy is to correct the defect in blood stem cells, then all the blood cells that descend from those cells will be corrected. This is one reason why research on stem cells is so important. inserting the new DNA into an actual virus and utilising its expertise – evolved over millions of years – to penetrate and deliver genetic material into the cell. In this last case, the DNA within the virus is wholly or largely deleted and the gene of interest inserted in its place. One virus – adeno-associated virus (AAV) – is proving to be particularly effective. Interestingly, once the DNA gets into our cells, it does tend to be stitched into our chromosomes. It is as if the cell thinks a piece of our DNA has become detached and the “DNA repair machinery” wires it back in. But getting new genes into enough cells on a scale that is sufficient to restore capacity to a whole human being is a major undertaking – so it is very expensive. And there is another problem – over time foreign genes tend to get shut down. Our cells have a highly sophisticated “anti-viral” software. We do not fully understand how the recognition and shut-down occurs but it certainly involves what are known as epigenetic silencing mechanisms. Basically, once new DNA is recognised as foreign, it is covered by methyl groups that then lead to it being coiled up safely and packaged away in a fashion that is analogous to the quarantining of computer viruses. It is not actually removed, but it is silenced. Should we be hopeful for future progress? Yes. There have been some notable successes. A patient with a form of inherited anaemia has received stem cells with a new gene and several haemophilia patients have benefited from a getting a new clotting factor gene. More than 40 children with severe immune deficiency – so called “bubble kids” who might once have lived within plastic bubbles cut off from germs – have benefited from receiving new genes that are critical to white blood cells. In the early trials, some patients developed a form of leukaemia when the new gene inserted and activated a neighbouring blood growth control gene, but later trials appear to be going well. Most spectacularly, there is a rare inherited eye disease that can be significantly ameliorated when treated early. Then there is what some are calling the world’s most expensive drug – alipogene tiparvovec (trademarked name Glybera). In this case, an adeno-associated virus vector delivers a new lipoprotein lipase gene to patients who have inherited a deficiency in this gene and are likely to develop severe pancreatitis. So gene therapy still offers hope. It remains good in theory, but challenging in practice. One hopes that as we understand better how to purify and grow stem cells, how to insert DNA efficiently, and how to overcome epigenetic silencing it will become cheaper, more effective and more diseases will become treatable. But, in the immediate future, the number of treatments and people treated will be small – even when the condition is life-threatening and the need is extreme. The related idea of genetic enhancement – the alteration of our genomes to improve cosmetic attributes or even sporting performance – attracts even more attention than gene therapy, but it is even more unlikely to become a widespread reality any time soon.